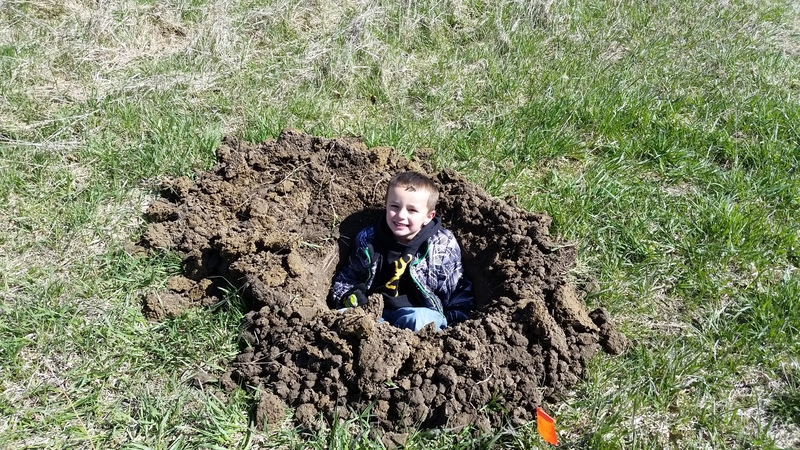 A whirlwind of digging holes and planting trees. Holes should be dug twice as wide and as deep as the root ball. Broken and damaged roots should be removed. Fan roots out in the hole, placing the top-most root slightly below the soil line. Water and tamp soil down with foot or shovel. When I started to inventory our shipment, I expected to have a few extra trees. In all, we had 20 extra trees. 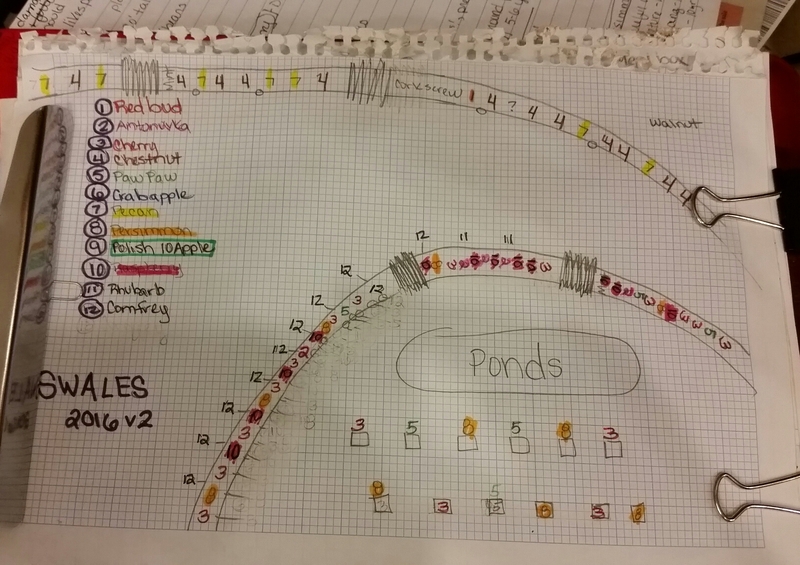 Before we could start planting, we had to plan where each type of tree would go. To maximize solar exposure, shorter trees should be planted south and taller trees should be planted north. The canopy of the tree mirrors the root system, so it was important for us to determine spacing. We don’t want to stunt growth or crowd out any of our trees. We ended up spacing the fruit trees around 10′ apart and the pecan and chestnut trees around 20′ apart. 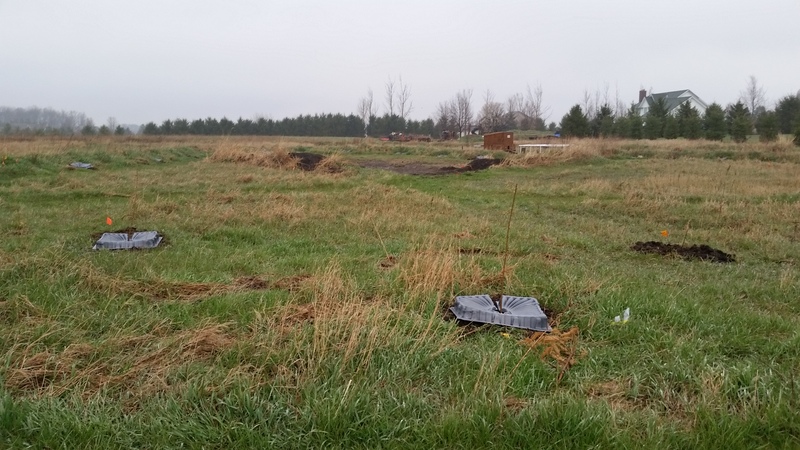 We did plant a few closer together as we do not expect that all 75 trees will make it. There was no way we were going to dig 100 holes by hand. 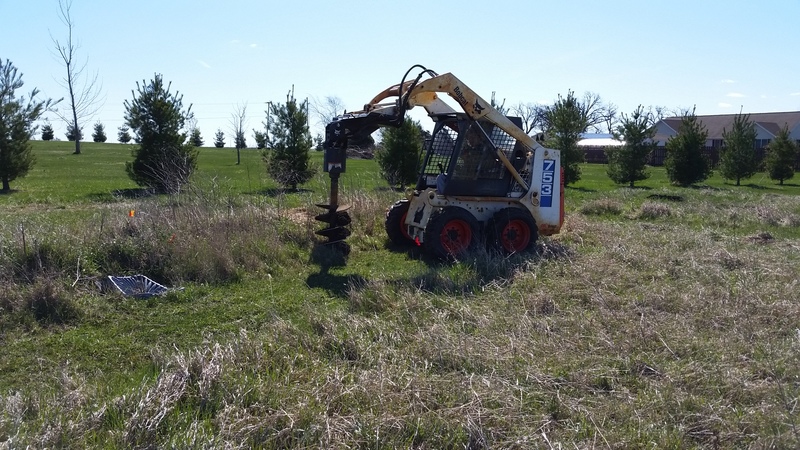 Especially when we had a perfectly good Bobcat at our disposal. So we rented an auger, and in just under 3 hours, Ray had drilled the holes. With 8 different varieties, I was determined to get an accurate map recorded. To ensure that happened, I made a map with a number key for each variety. Then, I walked around and placed a tree in each hole, recording what I planted. 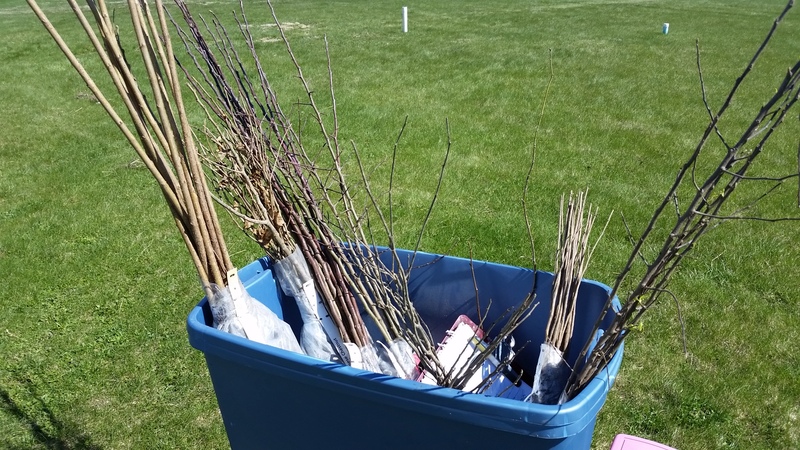 Normally, we would have had to water each tree, but since it was going to rain later in the evening and all day Sunday…we opted to let Mother Nature take care of it for us. Today the trees look rather scraggly and delicate. The root systems are fragile and the ‘trunk’ could snap with little effort. One day…many years from now…this will be a lush, green and edible woods. This entry was posted in A to Z Blog Challenge, Education, For the Kids, Garden Stories, Poetry, Writing. Bookmark the permalink. I couldn’t believe we got it done in a day! I thought for sure we’d be working on it all weekend.